Ace (formerly known as Ziggy) is ready for fun! Ace is 2 yrs old, weighing around 40lbs. 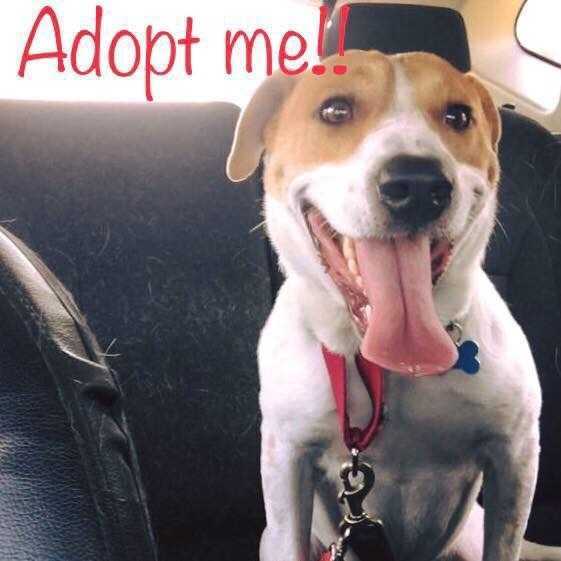 He is a high energy boy that would love to be a running or hiking companion. He is a very athletic jumper as well and would probably have a great future in Frisbee, flyball, or agility training. Ace lives with two canine foster brothers…one bigger and one smaller…and gets along fine with them. He doesn’t always put his best paw forward at adoption events because he gets stressed out with all the commotion and needs some work being comfortable on a leash. It is possible to meet Ace outside of an adoption event. Ace is a smart guy and he is housetrained. He is waiting patiently for his forever home.